Keep your software up to date and running faster. If it feels like your system is a little more sluggish than it used to be, you are probably right. If it seems to take forever to print a report, it probably does. Computers and Touch Controls running our instruments, like our computers, tablets or smartphones at home, need cleaning up and updating from time to time. While shutting your computer down every few months will certainly help you run faster, it can only do so much when you have a hard drive full of analytical data, or old versions of software in operation. Metrohm Software Care provides maintenance of your Metrohm software or Touch Control installation to give you the best possible performance. Archiving old databases and old methods frees up hard drive space without losing access to important data. Backing up methods and configurations keeps you running if the worst happens and you need to replace your computer. Having a Metrohm Accredited Service Technician perform a yearly maintenance of your software, just like your instrumentation, ensures smoother operation and faster analysis. 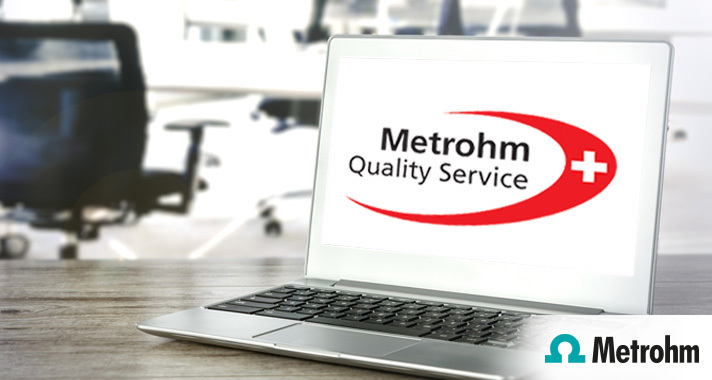 Discover the benefits of a yearly software maintenance with Metrohm.